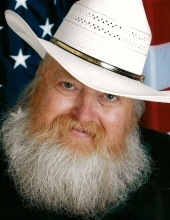 Celebrating the life of Vern E. Sword, Jr.
Obituary for Vern E. Sword, Jr.
Vern E. Sword, Jr., 71 of Hume, Missouri passed away December 20, 2018 at Nevada Nursing & Rehabilitation in Nevada, Missouri. Funeral services will be 10:30 AM Saturday, December 29, 2018 at the Hume Christian Church. There is no visitation. Burial will follow services in the East Liberty Cemetery near Stotesbury, Missouri. Memorial contributions are suggested to the American Cancer Society. Arrangements entrusted to Mullinax Funeral Home (660-679-0009) in Butler. Messages of condolence for the family may be left at www.mullinaxfuneralhome.com. Vern Everett Sword, Jr. was born August 28, 1947 to Vern E. Sword, Sr., and Virginia Hartzell. In 1951 he came to live with Glen and Doris Nelson who raised him as their own son. In 1964 while still in high school, he married Joyce Elaine Moberly and to this union was born a son, Michael Earl and a daughter Misty Eve. Vern finished his senior year and graduated from Warrensburg High School, Warrensburg, Missouri. While there he felt God’s call to the ministry and started by preaching at Oak Hill Christian Church just outside Warrensburg. In 1967 Vern enrolled in Ozark Bible College, Joplin, Missouri where he also worked as a nigh watchman. He liked that job so well that he joined the Joplin Police Department in 1969 to help pay for college. He graduated from OBC in May of 1972 with a Bachelor of Sacred Literature degree and was ordained into the ministry in October 1972 at the Hume Christian Church, Hume, Missouri. He was their first “Timothy” thanks to Ron Culp and James Dillon. Vern had dual careers as both a minister and a police officer. Besides ministering at Oak Hill, Vern served as minister to Foster Christian Church, Foster, Missouri; Crane Christian Church, Crane, Missouri; First Christian Church, Commerce, Oklahoma; Wyandotte Christian Church and Schell City Christian Church, Schell City, Missouri. He served in law enforcement in Joplin, Commerce, and with the Ottawa County Sheriff’s Patrol, and the Fairland Police Department in Fairland, Oklahoma. After his first marriage dissolved, he met his dream woman in Teresa Le Long and married her in 1992. For 24.5 wonderful years they were inseparable in everything; you seldom saw one without the other. Vern loved fishing when Teresa was alive; four-wheeling, smokin’ chickens as Christmas gifts and going and listening to Teresa sing or perform in a band. At the time of his death Vern was a member of Ohio Street United Methodist Church, Butler, Missouri and filled the pulpit when Pastor Dave was gone. Vern was preceded in death by both his biological and adoptive parents; his wife Teresa; two sisters Vickie and Rhonda; two brothers Steven Sword Sr. and Vern E. Sword III. Vern is survived by his son Michael in Cameron, Missouri; his daughter Misty (Tim) Bogardes of Schell City, Missouri; four granddaughters Kristina, Tiffany, Chrystal and Amber; one grandson Clayton; three great-granddaughters Abby, Lydia and Emerson; and one great-grandson Isaiah; three brothers Roger, David and Johnny Sword and two sisters Susan Strutton and Karen Dudley. To send flowers or a remembrance gift to the family of Vern E. Sword, Jr., please visit our Tribute Store. "Email Address" would like to share the life celebration of Vern E. Sword, Jr.. Click on the "link" to go to share a favorite memory or leave a condolence message for the family.